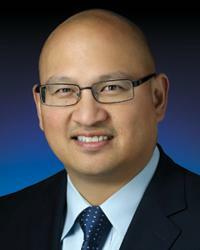 Jesse Garcia, MD, is a board-certified general surgeon who specializes in vascular access surgery for patients diagnosed with kidney failure who need dialysis. His passion for practicing medicine began with his father, who led the cardiac surgery program at MedStar Washington Hospital Center into the 1980s. Dr. Garcia is part of a team of vascular surgeons at MedStar Heart and Vascular Institute (MHVI) that is performing the greatest volume of HeRO™ graft placements in the country. This specialized graft is for patients who are unable to obtain vascular access for dialysis through the usual route - via a vein in the arm. This unique new technology has made a dramatic impact on patients’ lives because it reduces significantly the risk and frequency of infection associated with the standard venous catheter use. Dr. Garcia also specializes in the placement of another modality for venous access, called an “artegraft™”. This graft is for patients who have poor veins and are not candidates for the standard surgical procedure. The artegraft™ provides reliable dialysis access and with a lower incidence of infection. Dr. Garcia received a Bachelor of Science in Biology from George Washington University and medical degree from the University of Santo Tomas in the Philippines. He completed his general surgery residency at MedStar Washington Hospital Center, followed by a fellowship in surgical critical care, and finally, a fellowship in transplant/ vascular access surgery.